Italian metal band SECRET SPHERE will release their new album "Portrait Of A Dying Heart" through Scarlet Records on November 26th. 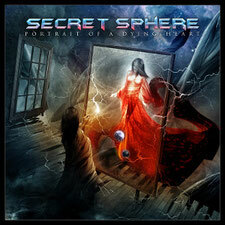 The album is the Secret Sphere's most ambitious one ever, without any doubt. Inspired by timeless acts such as Savatage and Queensryche, the band has put together a monumental concept based on the novel "She Complies With The Night", which was specifically commissioned by Secret Sphere's guitarist and main composer Aldo Lonobile to the young Italian authoress Costanza Colombo. "Portrait Of A Dying Heart" deals with the eternal conflict between dreams and reality, mixing classy arrangements, beautiful melodies and powerful rhythms like never before. 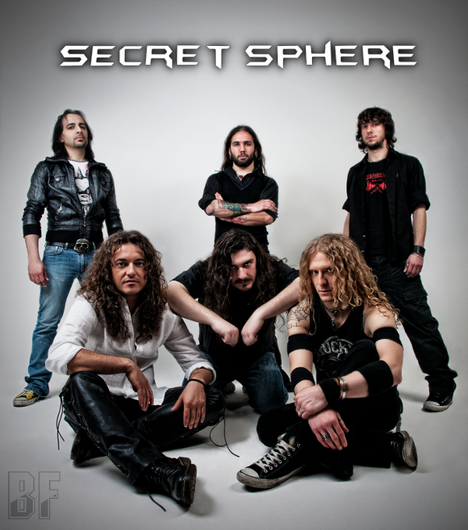 A talented new singer Michele Luppi (Vision Divine, Thurorod, Killing Touch) contributed to Secret Sphere's new album with writing lyrics and melodies as well as delivering one of his best vocal performances ever. The outstanding album artwork was made by renowned Colombian artist Felipe Machado Franco (Blind Guardian, Rage, Rhapsody Of Fire), who was able to incorprate the ambitious concept through a series of inspiring images which will be included in a massive booklet containing the novel in its entirety.